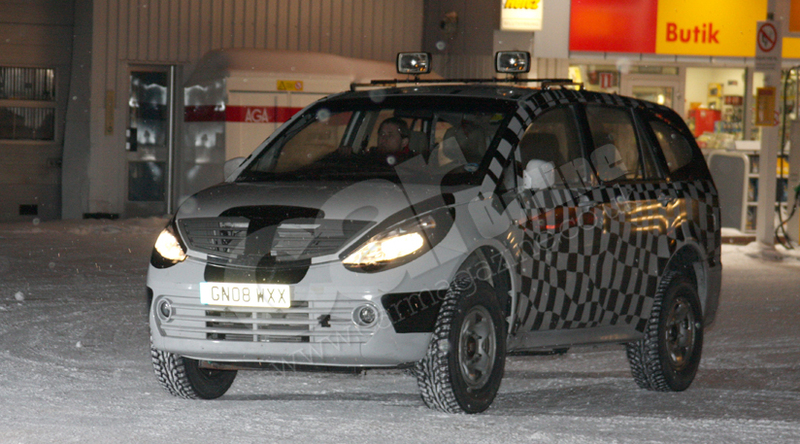 2009 Tata Indicruz testing in U.K- Is Land Rover part of the team? 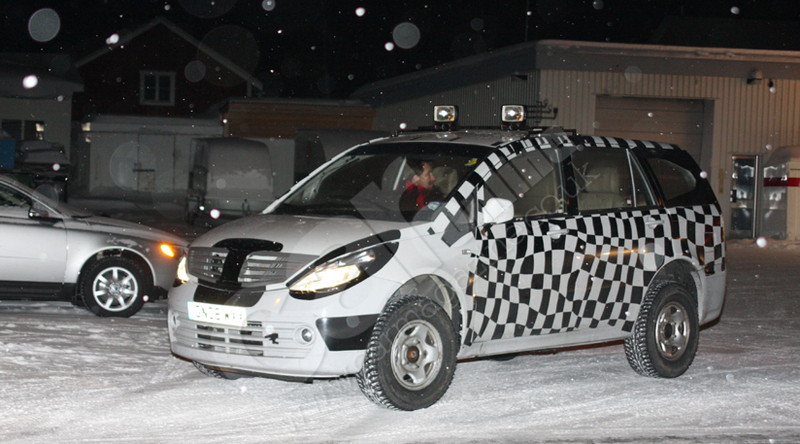 The Tata Indicruz based on the Indica Vista platform will go on sale hopefully by the end of this year in India. It has been spotted testing for well over a year now. Tata has driven thousands of miles in many continents on their latest cars- both the Indica Vista and the Indicruz, to analyze and understand their cars better, much before their entry into the market. Another derivative of the Indica Vista, the Indigo sedan we are told, will arrive at dealer showrooms by the end of June 2009. Land Rover is known for their rugged off-road vehicles which have survived decades at a stretch, little affected by weather, dust, terrain or other factors. They are the perfect vehicles for the armed forces, and the high-end models is stylish enough to be taken to the disco on Saturday nights. So, after seeing these snaps of the Indicruz testing on the roads of England, one is forced to think whether Land Rover will have a role to play on the car's suspension and 4WD system now that they belong to Tata Motors. Tata Motors has always had a ear to the experts, such was the case when Fiat gave suggestions during the development of the Tata Nano. The dual exhausts on the Indicruz prompts us to think whether a high capacity Land Rover engine will report for duty under the Indicruz' bonnet. This option is unlikely to be available on Indian models. Tata aspires to be a European player with their new cars, and will that model be one of their offerings. The Indicruz' interiors shares a lot in common with the Sumo Grande. The central console seems to lifted off the poorly performing SUV and the steering wheel has been stolen from the existing Safari. The dashboard plastic has not improved in quality, with the Indica Vista Tata was heading in the right direction, but the Indicruz' interiors seem have been planned and executed well before the Vista'. The Indicruz looks big and bulky, unlike Mahindra's idea, an approach Tata has taken to silence the Innova. Features like the indents on the doors in the handle area, bonnet-integrated radiator grille and the split D-pillar, give it an appearance unlike any of the present Tatas. The radials are fat, and the production version would have lesser ride height. Just like on the Sumo Grande, Tata seems to have kept the plastic rails and wheel arch-boosters out of the equation with styling incorporated on the sheet metal itself. The bonnet will visibly overlap the front fender and the curved A-Pillar will meet the bonnet farther up to result in a tiny yet vital quarter glass panel, Suzuki SX4 style. An interesting observation on the above picture- The windshield wipers are radial type- meaning they are hinged on the opposite corners of the windshield and cleaning action now is in both directions. This should help improve visibility in the rains and snow, regardless of which side your steering and pedals are situated on. It will go straight for the Innova, undercutting it by at least a lakh later this year. Close examination of the dashboard of the Indicruz shows a cuboidal vacancy in the center, which might house a monitor displaying useful data, similar to the DDAS on the XYLO. A 3rd row seat will be installed eventually. Expect the Tata DNA to be very much present on this vehicle. The ingress-egress, space, comfort, fuel economy and cheap spares will continue to attract buyers in India. This formula will work abroad only if Tata can add quality and reliability to it. Tata will use the 2.2-liter DICOR engine, tuned either to the Safari's spec (more power, lesser fuel efficiency) or to Sumo Grande spec. A 3.0-liter V6 DICOR engine developed in-house that produces 200 bhp, is also rumored, but we don't have any official confirmations. So a lot of things regarding the Indicruz, we don't know. We will keep a close watch on the Indicruz, so stay tuned to IAB.